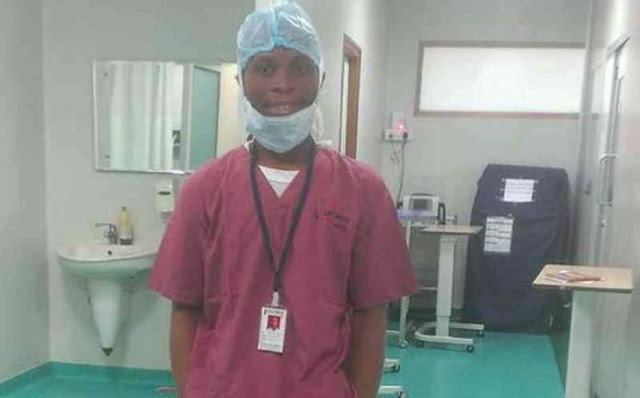 Home / News / How body of doctor Orji who jumped into Lagoon was recovered!!! How body of doctor Orji who jumped into Lagoon was recovered!!! The body of the medical doctor, Allwell Orji, who jumped off the 3rd mainland bridge on Sunday evening, has been recovered. The Lagos State Commissioner of Police, Mr Fatai Owoseni, confirmed the recovery of the body on Tuesday. He said the body was recovered by the Marine Police at the Onikan end of the lagoon. The body was found three days after the incident occurred. Until his death, Dr. Orji worked at the Mount Sinai Hospital in Surulere area of Lagos State, southwest Nigeria. The agency said the vehicle and the driver had been taken to Adeniji Adele Police Station for further investigation. Spokesman of the Lagos State Emergency Management Agency (LASEMA), Mr. Kehinde Adebayo, had said the agency was alerted by concerned Nigerians. May his soul rest in perfect peace... Amen!! !